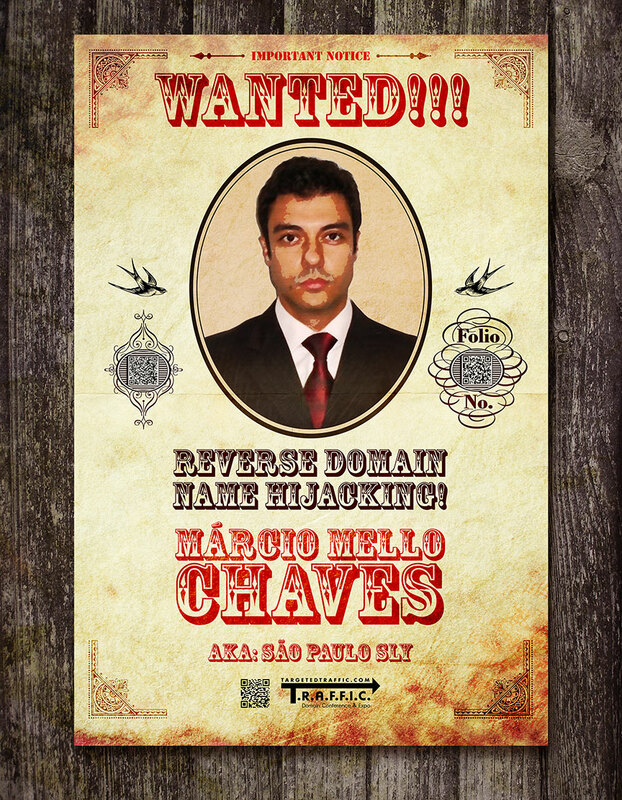 Marcio Mello Chaves Poster Boy for Reverse Domain Hijacking”Wanted Poster” Unveiled for Circulation | RicksBlog.com Home of "The Domain King®"
The Domain Game Changes from”Passive” to”Aggressive”…Have you Changed? The SaveMe.com Reverse Domain Hijacking Poster Boy, Marcio Mello Chaves, now has his own poster that will circulate around the Internet and hopefully follow him where ever he may go. 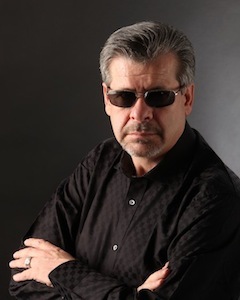 Until there are criminal penalties for attempted Reverse Domain Name Hijacking then PUBLIC SHAME is the only way to warn others that may try similar tactics what WILL happen to them, their companies and their futures should they try and HIJACK what they are not entitled to. Those that try and bend the system in this way are going to be marked for life! PERIOD! No matter how big or how small, anyone crossing the line will suffer the consequences just like our 'Friend' Marcio Mello Chaves. He tried to steal MY name and now I OWN HIS NAME, HIS REPUTATION and HIS FUTURE! When I said '2 x 4 with nails', this is what I meant. Some will say let it go. NO WAY! This is not about Marcio. He is just an example to inoculate OUR assets from other like minded predators. If you are a reverse domain name hijacker or you represent a reverse domain name hijacker, you do so at your own peril. Think twice before you make that mistake. Is it worth losing your reputation? Is it worth risking your entire business? Is it worth the embarrassment when others find out? Is it worth it? Is it worth following you not only for your lifetime, but way past? Márcio Mello Chaves aka Marcio Mello Chaves aka Convicted Reverse Domain Name Hijacker. I said I would make him famous and I am a man of my word. I am not angry at him. Quite the contrary. I have been waiting for this for 17 years. The one case that would change the world and this was a GIFT! And let's not forget about Wall-Street.com and their Hijacking attempt. They get 'Dishonorable Mention' in each and every post I will be doing along with the 20 others I have been able to find and list. After nearly 20 years of defending a legitimate business, a day has finally come where the label of 'Cybersquatter' meets the reality of 'Reverse Domain Name Hijackers'. Hijackers that TRY and steal what does not belong to them and without ANY legal rights! It is a deceitful and disgusting practice that could put any business owner with a dot com address in jeopardy for merely being ahead of the curve. Merely investing in the future. Merely taking a risk when nobody else would or could. Doing what folks have done for HUNDREDS of YEARS! While at the same time somebody else was either asleep at the wheel, too late to play and/or too cheap to pay!